UPDATE 2: The Xbox 360 update has been delayed till further notice. 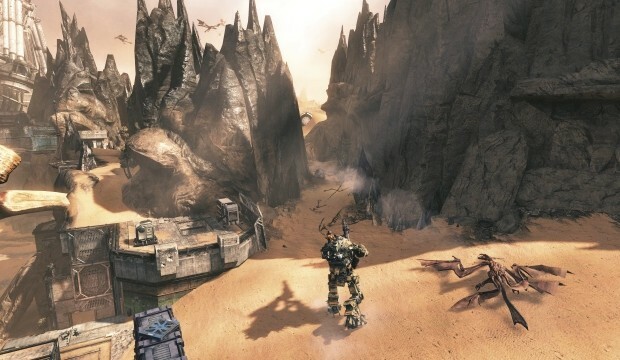 Xbox 360 players, @bluepointgames needs a little more time to fine tune the X360 update. They will provide a new release date soon. UPDATE: Xbox One & PC patch is now live. Patch for Xbox 360 comes tomorrow, April 11th. Respawn has announced that a new update for Titanfall will be coming later today. This update will bring Private matches for players to play games on their own 6v6 battle, and the gooser challenge update. Update coming later today with private matches, gooser update, etc. We’ll post lots of info on it as it rolls out. • Choose any of the game’s maps or modes (CTF, Pilot Hunter, etc.) to play in. • Choose which team you’re on. • For this beta, there is no concept of a “lobby leader”; any player can change game options in the lobby or start/stop the match countdown. Party Colors – Your party members and their titans now show up on the mini-map with green colors, instead of the normal blue colors that other friendlies use. Their names are also drawn in green on your HUD, the obituary text, and in the pre-game lobby. This helps you figure out where your friends are and what they’re up to, especially in the heat of combat. Auto-Titan Color in Obituary – Your auto-titan’s name now shows up in the obituary with the gold color that your own name does. Previously it had the same blue color as any other friendly. This makes it easier to keep tabs on how your titan is doing. Removed Wall-hack Exploit – PC cheaters were able to modify their local configuration files to enable a sort of wall-hack cheat using legit game code. We’ve closed the exploit that they were using. Menu Changes – “Play Multiplayer” is now the default (top) option on the private lobby menu, if you’ve completed both the IMC and Militia campaigns. It has also been renamed from “Play Classic”, since the term “classic”, which we used internally, proved to be confusing to some players. Game Version on Main Menu – The main menu now displays the game’s version in the bottom-left corner. Now you don’t have to wonder if you really do have the latest version of the game, and we can use that to double-check things if support is helping you troubleshoot issues. The Gooser Challenge – Based on recent feedback from fans of the game, the Gen 5 challenge requirement ‘Gooser’, requiring players to kill 50 ejecting pilots, will be reduced to 5 total. We had a couple of design goals for Regeneration. One was to give players a structured way to discover and experience ways of playing the game they might not have otherwise tried on their own. The second was to recognize players’ mastery of various skills, going beyond just ‘time played’. We went a bit too far with this challenge, especially considering the unique conditions that have to be met just to have the opportunity to get a kill on an ejecting Pilot. We understand some players have already completed the challenge, or have already earned more than the new requirement so we will be internally noting those players so we can recognize their accomplishments in a future game update. Titan Quad Rocket ‘Rapid Fire’ Mod’s mag size change – We upped the magazine size for the Quad Rocket’s Rapid Fire Mod to help it compete with the changes made to the extended magazine (from 5 to 6). The Rapid Fire Mod’s magazine size is going up from 16 to 18. • Fixed a crash when saying “Xbox go back” on certain menus.